In 1982, fantasy equaled Satanism. In 2016, Stranger Things received praise from Relevant and Christianity Today. What happened? I grew up in the Stranger Things era. Dustin, Mike, Will, and Lucas would’ve been my friends in school. Except my mother bought into the Pat Pulling/B.A.D.D. nonsense. Pulling was the primary leader of the crusade to villainize “Dungeons and Dragons” (D&D) and other uses of the imagination as well. Pulling’s tragic story involves her son’s suicide, sketchy research, and a need for something to blame. But despite an “Antifa-ntasy” mindset, there was flexibility in my home. Star Wars was fine; D&D was not. Star Trek was okay; “Magic: the Gathering” was evil. Lord of the Rings books were acceptable but any role-playing games, collectible card games, and high fantasy was off the table. Oddly enough, Willow was fine. Even as a child, that didn’t make sense. This week we feature Christopher D. Schmitz and his novel Wolf of the Tesseract in Lorehaven Book Clubs. Stop by the flagship book club on Facebook to learn more about these stories. Why was Willow okay but Castlevania or Astyanax harmful? I realized that if my parents liked it, it got a pass—Mom liked Star Trek, so it’s fine, and Mom really liked Val Kilmer, so Willow passed. Though I was young, I realized that most Christians bought into hype. We had corporate triggers; the primary one was fear, and it’s understandable. In October 1989, Jacob Wetterling was infamously kidnapped eighty miles from my home. Christians, Americans, wanted to keep their families safe. Even rural America became dangerous. It transformed from free-ranging kids on bikes in cul-de-sacs to indoor models. It seemed dangerous to walk to school. The world got small. It stayed small for many years. A generation grew tired of the illogical screaming—tired of accepting other people’s word as fact. Christians finally became skeptical and tested what we’d heard against scripture, discovering that not everything was as we’d been told. Instead of dogma, we ought to have been trained to discern right and wrong: something we ought to innately know about—a byproduct of being sealed through the Holy Spirit, (see Ephesians 1: 11–14). 1 John 4:1 says that we ought to test whether things come from God or false prophets, and 1 Thessalonians 5: 19–22 indicates the same and demands we defend what is good. As smart as modern Christians can be, the majority of us are lazy. Most of us are not Bereans. Many simply open our brains and ask for info-dumps from folks we think are smarter. This enabled a new Phariseeism to rise: those who will pretend to be godly and claim a gift of discernment (1 Corinthians 12:10). They dictate right or wrong and put a stamp of “sinful” on things. They say, “do not handle … do not touch!” giving “merely human commands and teachings.” But as the apostle Paul goes on to say, “Such regulations indeed have an appearance of wisdom, with their self-imposed worship …” (Colossians 2:21-23; this spells out the holier-than-thou attitude indicative of Phariseeism). It is impossible to run around and wrestle every Pharisee (and we would risk simply replacing them). But we can excel at discernment, and we can be sure that fantasy is not somehow spawned of Satan. Theologian Peter Leithart said, “The Devil has no stories.” No matter how dark, no matter how uplifting, all tales borrow from deeper, truer stories. Everything else is a shadow copy of the divine, and stories (whether they are parables or fantasy epics,) help us comprehend the incomprehensible—that is the beauty of what God gave us: imagination. Only through imagination and the creative bent of mankind can we comprehend the concept of infinity. Imagination is partly how we relate to aspects of the divine. Limitless creativity is a reflection of an infinite, creative Creator. What we can be certain of, Scripturally speaking, is that nothing inherently demonic can glorify God. Many fantasy tales are stuffed full of characters who wrestle with morality, the human condition, allegory, religious symbolism, divine foreshadowing, and even outright theology. Researchers widely point to the minister and fiction author George MacDonald as the first writer of “modern fantasy” and he inspired future greats such as G. K. Chesterton, J. R. R. Tolkien, Madeleine L’Engle, and C. S. Lewis. Some would point even further back to John Bunyan’s The Pilgrim’s Progress as the first work of modern fantasy. Thoroughly a Christian allegory, it was also the first novel written in the English language. Would Jesus approve of fantasy? That probably depends on the goals of the writer. Jesus used story to connect people to greater truths. Fantasy didn’t exist as a genre in his time, but he did use many genres to relate to the crowd, including common sayings, poetry, parables, and the popular apocalyptic genre among others. Paul did likewise and even used Greek theology to glorify Jesus (Acts 17:23). No genre is beyond the ability of an all-powerful God to use for his glory. And no person, either. I’ve seen many “Pharisees” come to this understanding; nobody/nothing is irredeemable. I understand those with a knee-jerk fear of fantasy. I want my kids to be safe, too. But I also want them to freely exercise their limitless creativity and to play in an infinite sandbox; it enables growth and interaction with faith concepts. Demonizing fantasy (or music styles, hobbies, activities, etc.) or anything not banned by Scripture is a way to shrink God and make idols of personal preferences, fears, or comforts. Following Jesus is not, and has never been about, putting stamps of approval on day-to-day activities, types of entertainment, or people—it’s about living in relationship with an all-powerful Creator. Truly, locking our eternal God into a limited box is the ultimate act of fantasy, and one far more fictitious than Narnia. 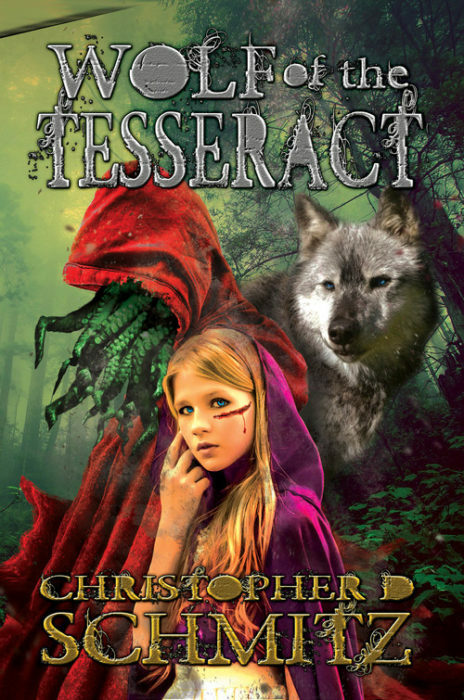 Explore Christopher D. Schmitz’s novel Wolf of the Tesseract in the Lorehaven Library. Fantasy did basically exist in Jesus’ day, by the way, in the form of various Pagan myths–which Jesus notably does not retell, though in theory, he could have. Nor does Paul retell any Pagan myths, even though he quoted Pagan poets on a handful of occasions when then said things he believed were true. When we talk about fantasy, we should admit a few things (that some Christian fantasy writers don’t seem to realize–though I don’t know if this applies to you or not). First, many fantasy stories are full of gods and goddesses other than the God of the Bible. Is that potentially harmful? We might say it isn’t, if nobody still worshiped gods and goddesses today, but in fact, modern Neo-Paganism is an actual thing. And note, fictional worship of gods and goddesses usually pretty closely resembles at least some elements of the real thing…and I have a hard time imagining Jesus being cool with promotion of gods other than the Father in heaven. Second, while some Christian people have oddly drawn a bright hazard zone around the use of magic in stories (oddly making exceptions at times, as you noted in your family), usually magic as portrayed in fantasy stories has no connection to actually seeking (unclean) spirits, which is a real form of magic that the Bible plainly forbids. I think Christians obsessed with magic need to calm down about it–but you know, every now and then, fantasy stories DO portray magic in a way an unwitting person could attempt to apply to the real world. When I mention exposing people to things that I would say are dangerous, like real world magic or real world Paganism, some people might object, “But just because you read something doesn’t mean you will do it. I mean, you can read books about killing people without being a murderer!” Well, yes, that’s true. But if you read stories that talk about murder in ways that don’t relate to the real world very much (as is true for most mystery novels), there isn’t even any potential danger you will learn to kill someone from such a story. But other stories are more realistic about death and murder and more gruesome. I would actually be concerned if I knew a young teenager (for example) who was obsessed with books about killing. There’s an actual connection between what people obsess over and what the DO, by the way. Though the correspondence isn’t 1 to 1, there is the possibility that a person reads about something because they are looking for a way to do it–or by reading about something, they might be prompted to try it. So an obsession with realistic death in stories should cause some reasonable concern–as should an obsession with certain elements of some fantasy stories. Some. A third issue is there’s an entire sub-culture drenched in fantasy where people live these books day by day to the point where they themselves off from real world things–real world things like Jesus, the Bible, and God. “Now wait a minute!” someone might say. “People can cut themselves off from God in many ways, not just through fantasy.” Well, yes, that’s true. Which is also a bad thing. Which actually has to do with an excess of something at the expense of other things and isn’t fantasy’s fault directly. However, when you combine people being immersed in a sub-culture with that sub-culture promoting attitudes that in fact are anti-God (and pro-other gods), well–then you’ve got a problem. Though part of the mission of Lorehaven (not that I speak for Lorehaven, but this is true) is to create culture, in particular to build a sub-culture of fantasy that honors God and still allows for speculative journeys into fiction. Yes, that’s something I agree with and approve of. Yes! We need better fantasy! Which means also that we don’t simply wholeheartedly adopt the entire genre as good. It isn’t all good. As you implied when you talked about being Bereans, we need to do the hard work of examining tales story by story and dealing with potentially harmful issues idea by idea. That’s especially important if we’re actually going to make a version of fantasy that’s specifically aimed at honoring God. Maybe you agree–I hope so. But I thought it was worth mentioning, even if you do. Despite where we agree, I’m not sure that I buy into your assessment that fantasy existed in Christ’s day. Stories that seem to meet the criteria I don’t think really fit; the ancient myths in that era (such as the Odyssey, the Epic of Gilgamesh/Atrahasis, and other tie-ins to commonly known myths,) seem to be rooted in transmitting religious tenants and wouldn’t be the same since it is not clearly understood as fiction in that era. I think a Jewish example, which Jesus also declined to quote from, is Bel and the Dragon. Could Jesus have used examples from those stories to impart Truth? I believe so (just like Paul used the altar of the unknown god)… but the fact that he did not (at least recorded in Scripture) does not tell us anything concrete about the nature of those stories. We could only know that something is inherently evil if God specifically told us so in His Word. We both certainly agree that fantasy can be used to impart deep, divine truth—and it’s better yet if it’s well-crafted and well-intentioned… this would be a great conversation to have over coffee and live streamed online, methinx. 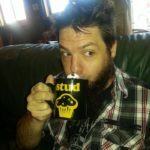 I’d love to read some of your SF and Fantasy sometime. 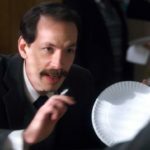 I can be found on Facebook and many other places on the internet! Yeah, I totally agree with you that parents need to be discerning of everything and I also agree with you that anything can be an “idol.” But I personally am, um, sensitive to, the appearance of other gods in fantasy stories. That’s in part because I know some real-live neo-pagans (including, sadly, both of my two sisters) and know this topic is not a joke. While anything can be a so-called “idol,” there are some real, actual, no-kidding idols (and false deities) still around. Which are at times included in positive ways in fantasy stories. What I just said is not an affirmation that the inclusion of gods and goddess is inherently evil, by the way. But I see it as a general indicator–and I’d much rather read stories that limit the gods down to one God. I hope that makes sense. Nice to have this conversation with you, by the way. God bless you. I appreciate the blast from the past here. I accepted Jesus as the Way at age 14. About a year later I boxed up all of my Dragonlance books, painted figurines, and D&D games (which, as an only child, were almost purely a vehicle for creating stories for my Lego knights), and labeled it “SATAN STUFF” before putting it in the attic. Another 2 years later I went back up and pulled out The Legend of Huma to reread. Then The Chronicles. Then the whole thing. I don’t regret going through that period and wrestling with how I felt, and why I felt uncomfortable at first and later perfectly OK with heading back into my favorite world. I needed to do that work and to let that work be done in me. It’s made me much better reader. I try to discern as much as possible before reading a book and will put down those I find to be unedifying to me. I’m also OK with feeling challenged in my worldview, and will “tolerate” a little more in order to confirm my beliefs, or to understand why someone might feel differently than I do and try to understand their perspective. I know whom I serve and whom I have believed in. I do worry about the amount of content that is packaged well, lauded by the critics and loudspeakers and mavens, displayed most prominently, that is creating the opportunity to wreck a Godly worldview. Might there be some truth in there? Sure. Might is not be awful? Sure. But on the balance, I wonder when we’ll look back and say “We now have this environment/situation/culture of permissiveness, intolerance, idolatry, and we allowed it to be caused through vehicles like speculative fiction in books, movies, and other media.” What will the royal we say then? Thankfully we have places like SF to dialogue about such topics! Allowing the challenge is a great topic! Easy faith results in cheap grace and a house built on sand. I’m glad for struggles and the friends who have challenged me to search for truth rather than try to debate my viewpoint into a winning position (which is easy in the vacuum provided by social media.) The Bible talks about iron sharpening iron and I’m grateful to those who have pushed back on some of the beliefs I’ve swallowed and internalized. “Why” is an important question. The more I try to answer it, the closer I usually wind up to Jesus. Thank you for the link and the books. As an unequally yoked parent, I have struggled mightily with this issue. As my daughter started school and the Kindergarten teacher taught her that leprechauns were real and gave the kids evidences that they were chasing a gingerbread man through the school for a week, I thought long and hard about the stories we tell our children. I landed on the reality that a lot depends on the age of the child and whether a story glorifies God or not. I realized that I couldn’t tell my Kindergarten child that God, leprechauns, the tooth fairy, and Santa Clause were real only to have her find out when she’s older that the last three were not. If they weren’t, when I’d told her they were, how would she believe that God was? When the teacher decorated with witches’ hats and I found out she was dressing as a witch for Halloween, I kept my daughter home from school that day. When we moved and she went to a school that had Story Book Day instead and all the kids dressed as their favorite book characters and brought their book to school to read to others, I gladly sent her to school to participate. When her school library showcased books with witches most of the time, I taught her that if the witch was seen as evil the book was okay to read but if the witch were seen as good, it was not okay to read. I didn’t let her read Harry Potter in grade school, as many children at that time were wanting to know how to do spells to get what they wanted. This has been a great struggle for me because I LOVE books and stories and, contrary to a Christian friend of mine who is sure plays and tv are of the devil, I see the educational opportunities along with knowing that stories are Godly because it is God who gives us our creative, storytelling ability. But I also know that people and Satan can twist that which is good into something that is evil. Such as, my daughter finally reached high school and I wouldn’t allow her to be in a play, the Addams Family, because after watching it, I believed that it glorified evil, death, and darkness, not God. When, I’ve forgotten the character names, the father collected instruments of death, the brother mourned the fact that his sister was getting married and moving away and wouldn’t be around to poison him anymore, the Conservative in-laws were ridiculed as being out of touch and worse, the dead rose to dance and sing, and all the other dark stuff that I can’t remember offhand, I regretfully told her she couldn’t participate. Really, it was extremely hard. It was her last play of her Senior year and she lived and breathed music and acting. But I take my role in raising her to glorify and obey God seriously and, understanding that I would stand before Him to give account for how I parented her, I could not let her partake. good thoughts, and I hope I didn’t make it sound “easy peasy.” It certainly is not–if it was, we would all be doing it already! I have fearfully undertaken the position of walking alongside my own kids (now almost 15 and 17). When I walk alongside them honestly and discuss the repercussions of actions and how it impacts faith I’ve found that they are better equipped to handle the world when I am not around. I see this especially in the school and with social issues such as homosexuality, partying, and entertainment choices. We have a relationship where we can discuss and grapple with topics and they don’t feel they need to hide things. I try to walk THROUGH things with my kids rather than shield them from things. As a 20 year veteran of youth work, I’ve seen that most kids rebel as soon as they are on their own. I am not so naive to think that they won’t mess up or do their own thing, but I firmly believe that kids ought to understand that our beliefs aren’t based on knee-jerk reactions to fear or blind parroting of a party/church line. It sounds like your daughter(s) have a good foundation. That only came from the hard work of investing into them–a parent’s job is never done. You are right about the minefield… as they grow up, the style of mines simply change. And I can’t imagine doing the work you do and holding to your guns so firmly without a spouse’s support, so I pray for you! I’m sure that great things will come from the hard work you do. It may feel difficult while navigating the rapids, but God’s got something great around the riverbend!